Drunk Driver Who Severely Injured Elmira Motorcyclist Gets 1-3 Years In State Prison. Posted on March 28, 2011 by Adam M. Gee, Esq. NY and PA Motorcycle Attorney Warns Bikers To Watch Out For Freshly Painted Road Markings. Posted on September 2, 2010 by Adam M. Gee, Esq. 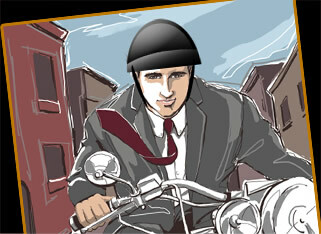 When The Going Gets Tough Does Your NY Motorcycle Lawyer Roll Up His Sleeves Or Run For The Hills? Motorcycle Insurance Misconceptions Part 8 – My Insurance Company Will Take Care Of Me! Motorcycle Insurance Misconceptions Part 7 – The Insurance for The Car That Hit Me Will Pay My Bills! Motorcycle Insurance Misconceptions Part 6 – MY MOTORCYCLE INSURANCE WILL PAY MY BILLS! Motorcycle Insurance Misconceptions Part 5 – My Homeowner’s Insurance Will Cover Me! Motorcycle Insurance Misconceptions Part 4 – My Car Insurance Will Cover Me If I am Hurt On My Motorcycle!